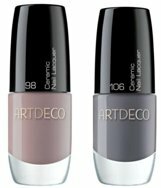 Get delicate nails with ARTDECO's new Divine Nail Colour collection. The new ceramic shades have already attracted celebrity fans such as Holly Willoughby, and are perfect to match with Spring fashions. There are 14 ceramic shades to choose from, and each contains very fine ceramic particles to give you intense colour and a long lasting shine. Our favourites in the Twinkle Magazine office are Boulder Grey (No.98), and the gorgeous Powder Ash (No.106). They cost £9.30 each, and are available online from www.garden.co.uk / Fenwick (Brent Cross) / Hoopers Department Stores nationwide, and for other stockists call 0151 421 1234. 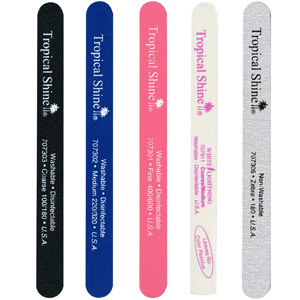 To prepare your nails for these perfect polishes, we also recommend Tropical Shine nail files. They are from the USA, and are known to outlast regular nail files 5 to 1. There are 12 different files in the range and each file is labelled with it's use. Each have a different degree of fineness and different usage for both acrylic and natural nails; from buffing and smoothing, to filling down length. With their bright colours, if you take one of these out on the bus you are sure to get noticed! They are £1.39 each, and for your nearest stockist call: 0208 787 7098.